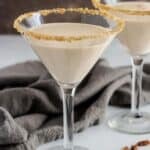 A festive, simple pecan pie martini made with a blend of seasonal vodkas and Irish cream liqueur. It’s sure to be a hit at your next holiday party. As I write this post, I have a perfect view of my backyard. Currently, snow is falling and our yard is blanketed by a layer of colorful Fall leaves. It’s safe to say, Winter is on it’s way to our neck of the woods. 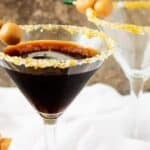 Personally, I can’t think of a better way to celebrate this season than with a cocktail party complete with a Salted Caramel Coffee Martini or Vodka Cranberry. Think about it, your surrounded by friends and family in a warm house, enjoying delicious cocktails, and watching the snow flakes flutter to the ground. It is the perfect day to share our newest drink recipe. 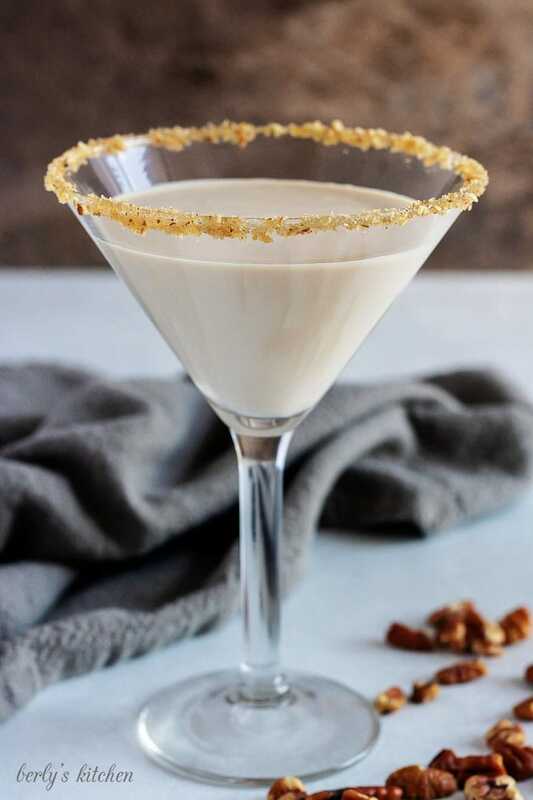 a rich and decadent pecan pie martini. 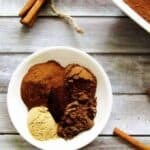 The drink only uses four ingredients, but if you decide to take just a few minutes in the kitchen, you’ll have a sweet garnishment that looks amazing! 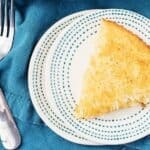 The cocktail tastes just like one of my favorite Fall pies. So, if you’re a fan of martinis and pecan pie, then this is a drink you have to try at least once. Let’s get started. First, in a food processor or chopper combine the brown sugar and pecans. Pulse them together for a few seconds and pour the mixture into a bowl large enough to fit the top of the martini glass. Next, pour the maple syrup on to a small saucer and dip the top rim of the martini glass in the syrup. Alternatively, you could use your finger or a small brush to apply the maple syrup. Last, carefully, dip the sticky rim of the glass into the pecan mixture and give it a small twist. Now, you have a decorative glass in which to serve your party drink. First, start by gathering all of your ingredients. Then measure them out into shot glasses or regular glasses for easy mixing. Next, add a handful of ice to your shaker cup(s). The cup should be about 1/3-full. Enough ice to chill the drink without having to worry about it watering down your martini. Then, pour the pecan flavored and vanilla flavored vodkas into the cup along with your heavy cream and Irish Cream. Now, cover the shaker cup and mix the drink for about 5-seconds. It won’t take long. Last, pour the martini into a prepared martini glass and serve. Do not over mix this cocktail! All you need to do is gently shake the shaker cup(s) back and forth in one hand. Otherwise, the fat in the cream-based ingredients will adhere to the ice and the drink may separate. Nobody wants that. 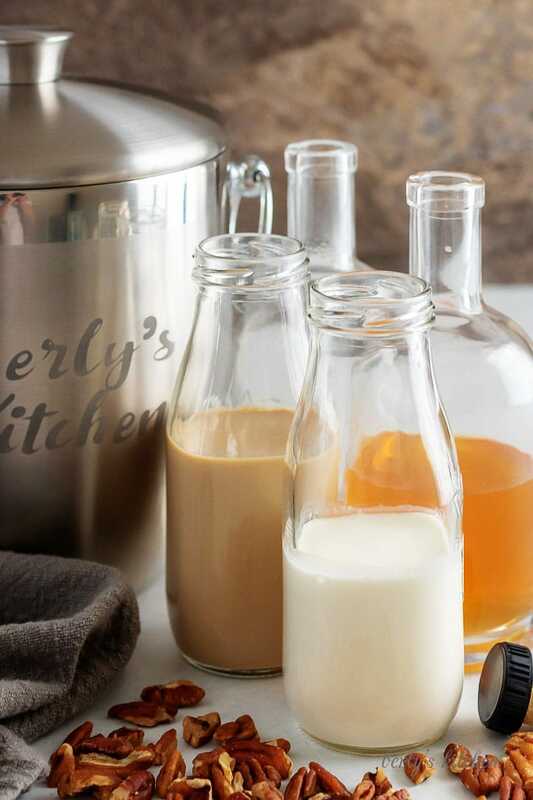 If too much dairy upsets your tummy, then try using coconut milk instead of heavy cream. Pecan flavored vodka may not be available in your area, so if that’s the case, then use regular vodka and add a 1/2-teaspoon of pecan extract when you mix the beverage. Need more tasty cocktail recipes? Then take a look at our Gold Rush Cocktail or our Tropical Cocktail Booze Cubes! 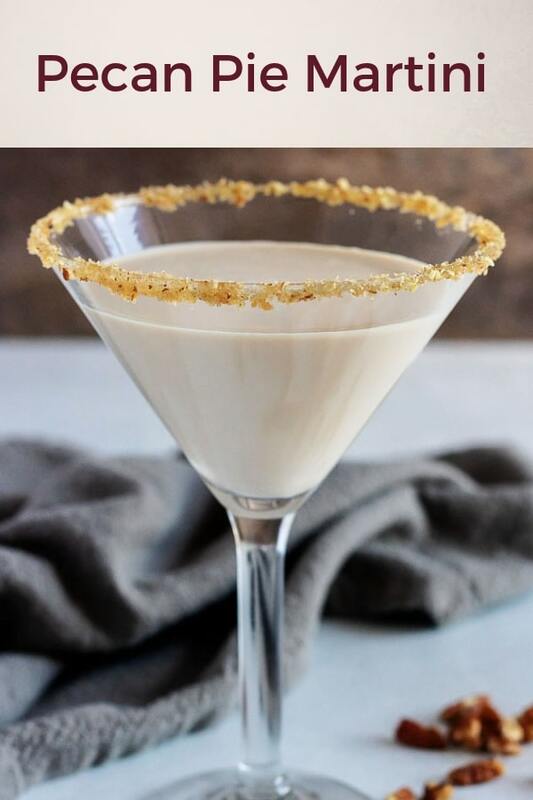 A festive, simple pecan pie martini made with a blend of seasonal vodkas and Irish cream liqueur. It's sure to be a hit at your next holiday party. First, in a food chopper or food processor, combine the pecans and brown sugar. Pulse the ingredients and put them in a bowl. Next, pour the maple on to a saucer a dip the top of the martini glass in the syrup. 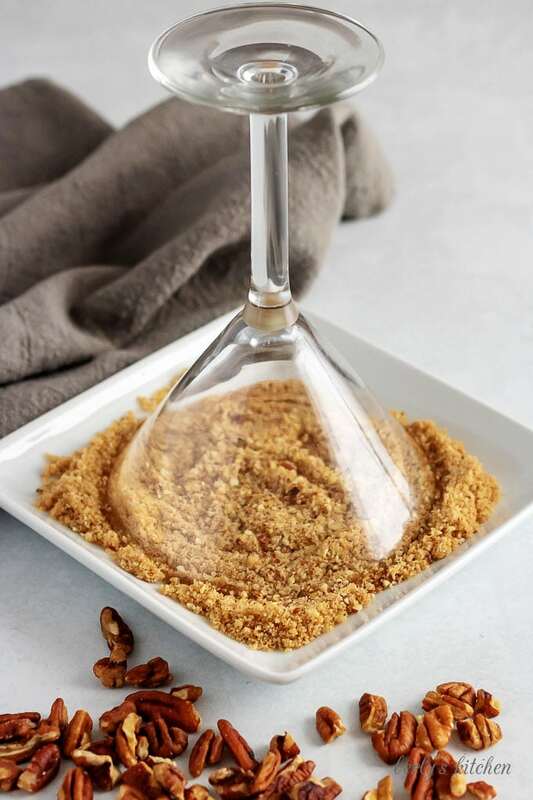 Last, gently dip the top of the martini glass into the brown sugar mixture. Give it a small twist. First, add a handful of ice to a shaker. Next, measure out your ingredients and pour them into the shaker. Then, gently, mix the drink. 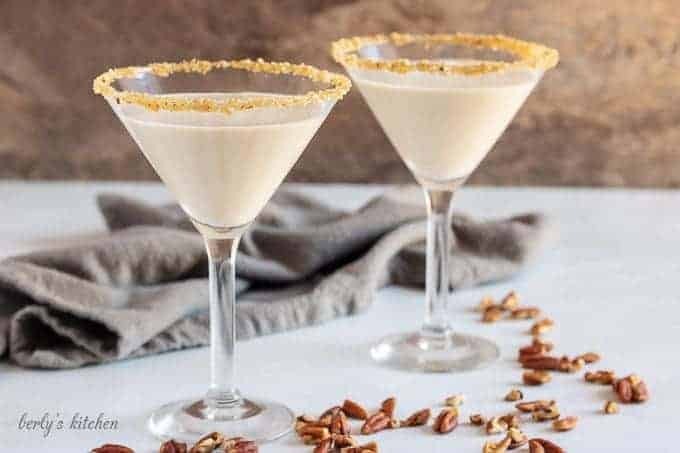 Last, pour the pecan pie martini into a large martini glass and enjoy. The calories listed are an approximation based on the ingredients and a serving size of 1-drink. Actual calories will vary. Also, keep in mind you will most likely not use all of the garnishments for 1-serving.